FREE shipping or local delivery (Cloquet/Duluth area) on orders $9.00 and over. Want to get something nice for someone in your life? Leave it to us! We, at Sweet Land Farm, are happy to lend a hand. 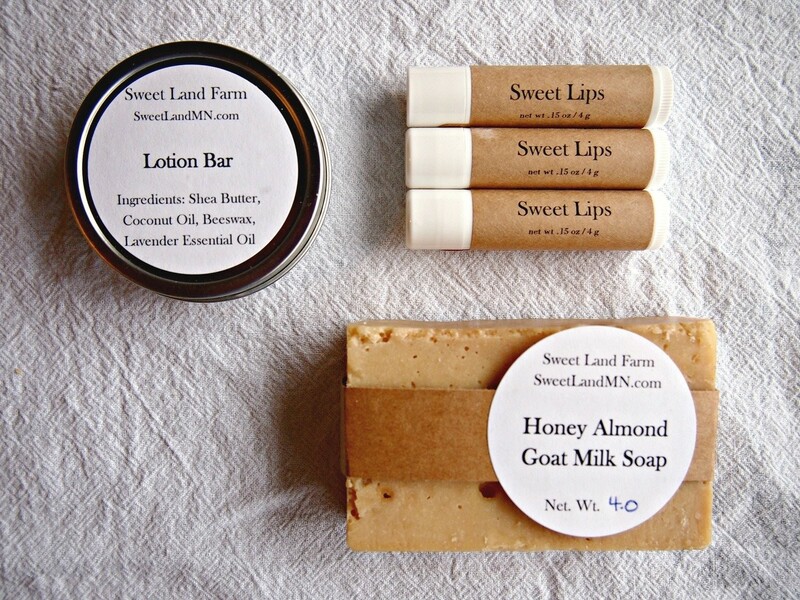 :) Our Sweet Land Gift Pack makes gift giving easy! Be sure to select your choice of Lotion Bar and Soap! Whoever you give this to will love it! Simplifies the gift giving process. Everything is included! Buy a Gift Card for the Sweet Land Farm Store! Don't know what to get that special someone? Buy a Sweet Land Farm Store Gift Card! Sweet Land Farm is a beautiful place run by an absolutely wonderful family! I highly recommended this place! 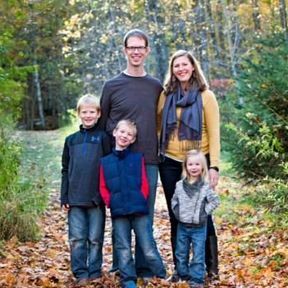 Veronica, Nathan, Isaiah, Simon and Frances Langer have started this journey of creating Sweet Land Farm. Our hope is to bring these beautiful 32 acres just north of Cloquet, MN back into production with bees and blueberries! We bought this farm with the dream of providing high quality, sustainable products and a family friendly environment where all can begin new traditions together. Our hope is that through our products, family, neighbors and friends will connect with nature around them. Join us to follow along with our journey!